For all those who love golf, Sicily offers different golf structures, that are located in different areas of the Island, in order to combine an holiday sport to the visit of this beautiful and enchanted island. Sicily may not be an obvious choice when it comes to a destination for a golfing holiday, but the island already boasts 6 challenging and enjoyable 18-hole courses, strategically situated in some of the island’s most beautiful areas. Il Picciolo (Par 72 – 5,870m) is the oldest course in Sicily and has played host to a number of international tournaments, including Ladies’ European Tour events. There can be very few courses in the world that can boast a smoking volcano as a backdrop – but Il Picciolo is one, laid out as it is in a stunning location on the slopes of Mount Etna. This proximity to Etna and its regular eruptions provides the unusual hazard of lava flows on many of the holes and, with trees and vineyards also constantly in play, there is a premium on accurate driving. As a result the course is more challenging than its relatively modest length (5,800 metres) might suggest. Le Madonie Golf Club (Par 72 – 6,004m) is situated close to Cefalu on Sicily’s north coast, within easy driving distance of Palermo. 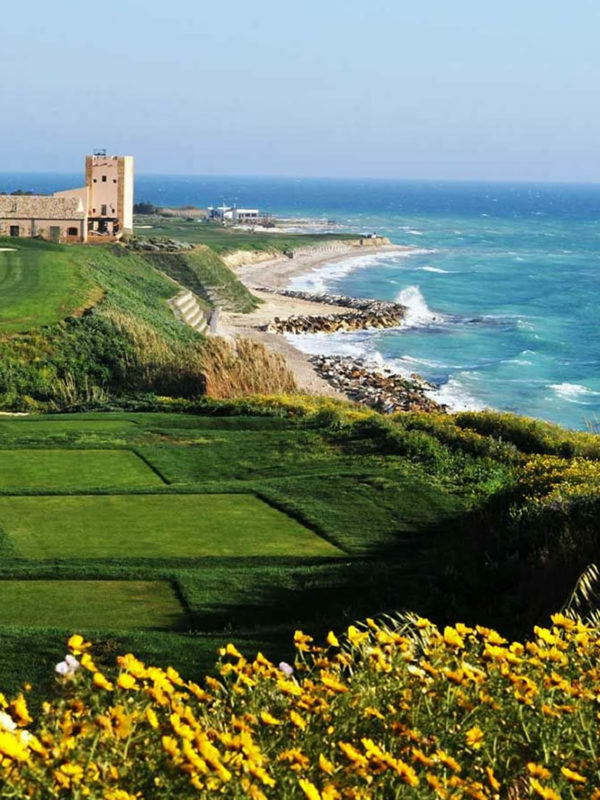 Opened in August 2004, Le Madonie is a well-established course of high quality which winds its way through groves of olive and citrus trees and provides a challenge for golfers of all abilities. In 2006 it hosted the PGA Alps Tour, the first male pro Championship ever held in Sicily.From almost every hole there are fantastic views over the Mediterranean and the Aeolian Islands to the north and the Madonie Mountains to the south. Recently host to the Sicilian Open European PGA Tour, the Donnafugata Resort has two courses set amongst the carob trees, gentle slopes and dry-stone walls that characterise the area of Ragusa in south-east Sicily: the Gary Player designed Parkland Course (Par 72 – 6,666m) and a Links course (Par 72 – 6,650m).